The National Broadcasting Company marked its 25th Anniversary in Radio in 1951. Throughout the year, NBC aired several celebrations and special programming to mark the event. NBC Presents: Short Story first aired on February 21, 1951 as a natural extension of NBC's critically and popularly successful NBC University Theater productions, later retitled NBC Theater. Beginning in 1942, NBC had formalized its concept of the NBC University of The Air and its companion NBC Inter-American University of The Air. Throughout the mid-1940s NBC produced some twenty-five productions specifically designed to both educate and entertain. NBC Presents Short Story continued in that vein, devoting the first two minutes of each production to a brief history of the author of the work to be presented that evening. As marvelous as was the promise of such celebrated authors' works, NBC Presents: Short Story was almost immediately beset with a myriad of pre-emptions that continued on for both seasons of the fine series. A sustained production for its entire run, NBC used the series as much to tout its other Silver Anniversary programming as to serve as a late-night place-holder for future features. It's almost as if NBC felt that it needed to mount yet another in the long lineage of its fine NBC University of the Air productions as it celebrated its heritage, while at the same time hedging its bets with a far more economical production. We're certainly not inclined to believe that all seven pre-emptions were last-minute productions--with the possible exception of the H.V. Kaltenborn 30th Anniversary Tribute. The other six preemptions were ambitiously mounted productions, clearly long in the planning. More curious for Edgar Allan Poe fans, it would seem that the overwhelming majority of the Poe selections for the series never made it to air. For all of NBC's bleating about Radio programming costs throughout the 1950s, it's all the more surprising that NBC abandoned eleven of its fifty-two recorded programs from the canon. This was after all a sustained production. The programs had already been performed and recorded. It remains a mystery why the above eleven programs were abandoned. At an estimated cost of $5,000 per production, that money was already spent. Indeed, NBC replaced NBC Presents: Short Story with a documentary series, Who Goes There?. It's perhaps no coincidence that 1951 was the year that NBC inaugurated its first coast-to-coast Television Network service. This, much as with its January 4, 1928 Dodge Victory Hour broadcast which, for the first time, linked all of NBC's variously 'colored' networks of the era to one coast-to-coast Radio broadcast. NBC was all about Television as it entered its 26th year and its previous prestigious sustaining features over Radio seemed almost put on hold with that first coast-to-coast Television broadcast. NBC had turned a corner in broadcasting history, as did much of the nation from that point forward. Run Dates(s)/ Time(s): 51-02-21 to 52-05-30; NBC [Radio City, Hollywood]; Forty-one, 25-minute programs; Wednesdays, 10:30 p.m., then Fridays, 9:30 p.m.
Hickerson Guide, The Libray of Congress, radioGOLDINdex and radioGOLDINdex. We have no idea where the other circulating logs got their information that forty-five episodes of NBC Presents Short Story actually aired. We traced the series over both WNBC in New York City and the mid-west broadcasts in Wisconsin. Neither chronology supports forty-five broadcasts--least of all from NBC's own flagship station, WNBC, during the period. There were forty-one actual broadcasts of the series. The other eleven recorded programs simply never aired due to a combination of pre-emptions and an abrupt cancellation of the series. We're naturally more than willing to keep an open mind. If the SPERDVAC can demonstrate to us--from any source--that NBC's flagship station pre-empted its own widely publicized specials to air another NBC Presents Short Story in its place at the last minute, we'd love to learn about it. Perhaps someone at the SPERDVAC is aware of something that the National Broadcasting Company isn't. What you see here, is what you get. Complete transparency. We have no 'credentials' whatsoever--in any way, shape, or form--in the 'otr community'--none. But here's how we did it--for better or worse. Here's how you can build on it yourselves--hopefully for the better. Here's the breadcrumbs--just follow the trail a bit further if you wish. No hobbled downloads. No misdirection. No posturing about our 'credentials.' No misrepresentations. No strings attached. We point you in the right direction and you're free to expand on it, extend it, use it however it best advances your efforts. 9:30 p.m.--Short Story (WIBA): new series; Ernest Hemingway's "Fifty Grand." 9:30 p.m.--Short Story (WIBA): "Mr. Arcularis," by Conrad Aiken. 9:30 p. m.  Short Story: F. Scott Fitzgerald's "Crazy Sunday" WIBA. 9:30 p.m.Short Story: "The Lottery"WIBA. Fredric March, Everett Sloane; Eddie Cantor, Guest--WNBC. 9:30 p.m."One Foot In Tomorrow" (WIBA): Fredric March in story of refugee resettlement in Israel. 9:30 p.m.Short Story: "Shadow of Evil," James Aswell's story of woman who fights political corruption involving her weak, alcoholic husbandWIBA. 9:30 p.m.Short Story (WIBA): '"Honor," by William Faulkner. THE LOTTERY': So great was the mail from listeners who were puzzled by the dramatization of Shirley Jackson's "The Lottery" on the "NBC Presents: Short Story" series Mar. 15 that the network sent letters of explanation to perplexed correspondents. Almost all asked if it were based on a specific American folk custom. After the New Yorker printed the story originally in 1948 the response was similar, and that publication prepared a few words of explanation for its correspondents. The story is a fable in-modern dress, NBC explained. Interpret it as you wish. This is one way: Mankind is essentially cruel. The nameless,. timeless village of the story has long since devised a scheme whereby cruelty, and persecution are confined to only one day a year instead of being practiced constantly, and the victim is selected by lot rather than prejudice. 9:30 p.m.American Cancer Society (WIBA): Joan Crawford, Judy Holllday, Jimmy Durante, Eddie . Jackson, Garry Moore; Mlndy Carson. 51-04-18 Wisconsin State Journal - 9:30 p.m.--Short Story (WIBA): "Beautiful Summer at Newport." 51-04-25 Wisconsin State Journal - 9:30 p.m.--Short Story (WIBA): "I'm A Fool" and "I Want to Know Why," by Sherwood Anderson. 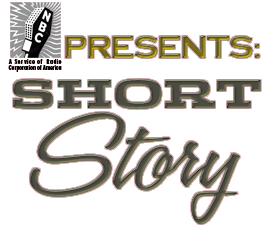 8:30-9--NBC Presents--Short Story: H.D. Boyleston's "Keys"--WNBC. 8:30-9--Short Story: James Street's "I Am Not a Stranger"--WNBC. 7 p.m.--Short Story (WMAQ): "Kirsti," by Gladys Hasty Carroll. 7 p.m.--Short Story (WMAQ): "The Piano," by Ben Ames Williams. 7 p.m.--Short Story: "52 Weeks for Florette," by Elizabeth Alexander--WIBA. 7 p.m.--Short Story (WIBA): "Champion," by Ring Lardner, prize-fight story on which movie was based. 7 p.m.--Short Story (WIBA): John Steinbeck's "Leader of the People." 7 p.m.--Short Story (WIBA): "Ground Floor Window," story of boy with cerebral palsy. 8-8:30--NBC Presents: Short Story--"Doc Mellhorn and the Pearly Gates"--WNBC. 8-8:30 NBC Presents: Short Story--"The Wanderers"--WNBC. 7 p.m.--Short Story (WIBA): "They Are All Afraid," by Len Peterson. 8-8:30--NBC Presents: Short Story--"They Are All Afraid"--WNBC. 8:30 p.m.--Short Story (WMAQ): series returns; "O'Halloran's Luck." 8:30 p.m.--Short Story (WMAQ): "When Greek Meets Greek," by Grahame Green. 8:30 -- Short Story: "A Letter from the Queen"--WMAQ. 8:30 p.m.--Short Story (WMAQ): "Pot of Gold," by John Cheever. 9:30-10--Short Story: Stockton's "The Transferred Ghost"--WNBC. 9:30-10--Short Story: Jean Kenyon's "The Trader's Wife"--WNBC. 8:30 p.m.--Short Story (WMAQ): "The Rocket," by Ray Bradbury. 8:30 p.m.--Short Story (WMAQ): "Dead Man," by James M. Cain. 8:30 p.m.--Short Story (WMAQ): "The Seat of Violence," By Ben Ames Williams. 8:30 p.m.--Short Story (WMAQ): "The Hut," by Geoffrey Household. 8:30 p.m.--Short Story (WMAQ): "A Frameup," by Ring Lardner. 9:30-10--Short Story: Erskine Caldwell's "The Windfall"--WNBC. RECORDED HIGHLIGHTS of ceremonies in connection with the funeral services for King George VI will be broadcast at 2:35 p. m. on WMAL, at 4 p. m. On ,WTOP, at 9:30 p. m. on WRC and at 10:30 p. m. on WASH-FM and WWDC. The WRC broadcast will be a full hour long. 8:30 p.m.--Short Story (WMAQ): "The Windfall," by Erskine Caldwell. 8:30 p.m.--Short Story (WMAQ): "The Apple Tree"--WMAQ. 9:30-10--Short Story: Caldwell's "The Windfall"--WNBC. WRC--9:30. John Galsworthy's "The Apple Tree" is dramatized. 8:30 p.m.--Short Story (WMAQ): "The Apple Tree," by John Galsworthy. 9:30-10--Secretary of State Acheson: Report on Recent Nato Conference in Lisbon, Portugal--WNBC, WOR, WCBS, WMCA, WINS, WEVD, WQXR, WAAT; 11:30-12--Recorded--WJZ. 8:30 p. m. WMAQ, WBBM--Speech by Dean Acheson. On WENR at 11. 8:30 p.m.--Short Story (WMAQ): "The Apple Tree." 9:30-WNBC--Short Story: John Galsworthy's The Apple Tree. 2:00-KFI--Hollywood Star Playhouse, "Hospital Zone, Quiet." 8:30 p.m.--Short Story (WMAQ): "The Darling," by Anton Checkhov. 8:30 p.m.--Challenge to the Underworld (WMAQ): radio listener's tip brings death to wanted criminal. 8:30 p.m.--Red Cross (WMAQ): Walter O'Keefe, Willard Waterman, Mills brothers, April Stevens, Paul Douglas, John Sinclair, Robert Armbruster's music. 9:30-WNBC--Red Cross Show: Neighbor to Neighbor. With Willard Waterman, Paul Douglas, Mills Brothers, April Stevens, Others. 8:30 p.m.--I Remember Kaltenborn (WMAQ): salute to commentator on 30th radio anniversary; Ben Grauer, Bill Henry, Robert Trout; excerpts from broadcasts. 9:30-WNBC--Special Tribute to Honor H.V. Kaltenborn's 30th Anniversary in Radio. 8:30 p.m.--Short Story (WMAQ): "How Beautiful the Shoes." 52-04-11 New York Times - 9:30-10--Short Story: "How Beautiful the Shoes"--WNBC. 8:30 p.m.--Short Story (WMAQ): "You Could Look It Up," by James Thurber. 9:30-10--Senator Richard B. Russell: At Russell-For-President Dinner, from Atlanta, Ga (Recorded)--WNBC. 9:30-10--Short Story: Collier's "De Mortuis"--WNBC. 9:30-10--Short Story: "Three Pairs of Heels"--WNBC.